Hi, I’m Michael Hamburger. I help businesses reach their growth potential and dominate their markets by implementing proven marketing systems. I ignite growth in your business well beyond the levels you’ve likely achieved in the past. You’ll discover that the systems I’m talking about aren’t gimmicky, revolutionary or impossible to implement. They don’t require you to turn your business model upside down or become something you’re not. That’s why I named my company Ezzey..
Michael was born and raised in Atlanta, GA and instilled with family values from a young age. Michael dealt with the pain of losing his mother who died at a very young age when he was just 17 years old. Her life and legacy instilled within him a passion for life that has driven him to make the most of every day. A self-described “adrenaline junky” Michael is drawn to living life on the edge. With this enthusiasm for life at the helm, Michael embraces his loving wife of fifteen years and children as the center of his universe. Each day he awakens to a family that he loves more than life itself, with a love that grows stronger each new day. There is nothing he enjoys more than investing in spending time with his family and fostering that same passion for life with a focus on things that matter most within all those he associates with both professionally and personally. In fact, when Michael was just seven years old he remembers a valuable lesson he learned from his father who was focused on the power of personal development. He instilled in Michael a profound truth that has shaped all of his business models, including the model for Ezzey. The pearl of wisdom is this: the key to being personally successful is to focus on helping others. This philosophy has served Michael well in all aspects of his life both professionally and personally. Hamburger has a knack for success in all areas of his life. His legacy includes a successful career in Telecommunications which eventually introduced him to his first taste of life as an entrepreneur. This new passion for running wildly successful marketing companies was a promising seed planted in 1998 for Michael in Park City, Utah. This well formulated initial business venture lead to many more powerful success movements within the marketing industry. 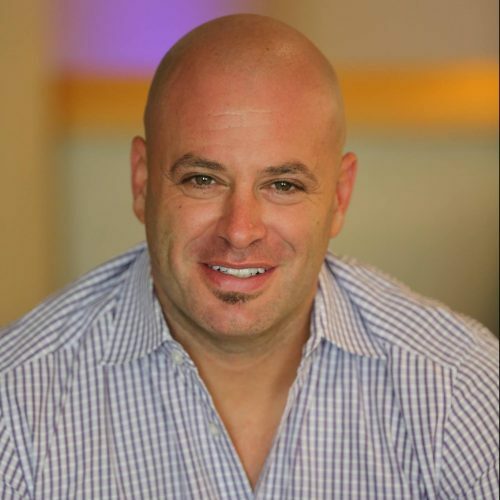 Michael has taken his passion for business and turned it into a powerful business machine designed to motivate fellow entrepreneurs while bringing highly prized, valuable marketing services to small business owners around the world. Michael is a highly sought-after trainer, helping people from all walks of life experience the benefits of a prosperous and abundant lifestyle. In fact, Michael is well acquainted with what the best success models look like. Michael took the helm as the Chief Sales Officer for a company that grew from 1 million dollars in the first month, 2 million in his second month and ended up hitting the 20-million-dollar mark within that first year. If you are ready for the results your hard work deserves then Michael Hamburger is the expert want in your corner. Imagine being able to achieve a 16-million-dollar mark in “invisible sales mode” or cornering a market that added 40,000 new e-commerce sites into Shopify within 120 days. This is the kind of mind-blowing success Hamburger breeds. With this background in mind, Michael developed Ezzey (pronounced “easy”), a branch driven digital marketing agency aimed to bring the small business owner further into the world of digital marketing. Through Ezzey, Michael guides you through the process of understanding that a digital marketing plan involves so much more than a makeshift, digital billboard. Michael developed Ezzey with the goal of providing huge value for business owners through a highly qualified, motivated and dedicated team of experts who are invested in your long-term success as a small business owner. Michael believes in this business model so much that he walked away from an equity position with another company in order to pursue this niche in order to follow his passion for helping others not only dream big, but achieve big. With his team of top-notch employees who are dedicated to your personal and professional success, Michael inspires them by paying them well while keeping overhead costs low so that, in the end, you pay well below the market value for a marketing funnel designed to explode your business. Are you ready? As a business owner Michael helps you harness the power of the digital world in a way that makes Ezzey the best decision you have ever made for your company. Their ingenious marketing funnel will bring you an astonishing return on your investment while keeping your initial out of pocket marketing expense within a very affordable range. It is an exciting time to be in the digital marketing world and we provide the best value because Michael understands the power associated with taking care of his employees so that they are motivated to take care of you. Ezzey in an exciting environment, buzzing with integrated ingenuity, enthusiasm, and passion for the power of digital marketing. Join us today to catch a vision that is broader and brighter than you ever dreamed possible for your own business. Ezzey is a worldwide organization with customers in locations such as Queensland, Australia, and Dubai, yet we are also right in your own backyard ready to take your business to a whole new level of success. Our centralized, virtual factory offers the same level of world-class service and digital marketing tools no matter where you are doing business around the globe. Our well-researched marketing model promises to bring the results you require by moving your business into the hub of your niche marketplace. We help you to experience the simple fact that your digital marketing planning should not be hard, it should be Ezzey! With the expertise of Michael Hamburger and his world-class marketing team on your side, we make it easy for you to have more than just a good-looking website in your corner of the digital world. Chances are that your website, which serves as your storefront, is not bringing you the sales you were hoping to get. Let our marketing team help you bring the website you have created to the next level so that you can achieve incredible conversion rates. We honestly believe that your choice to partner with is in the digital marketplace will end up being a great decision for the future success of your business. We understand that you have a business to run and that digital marketing can seem like a foreign language you do not have the time to learn how to speak. That is where Ezzey comes into the picture, doing things like translating that hidden business Facebook page you made months ago into a social media marketing powerhouse. Michael created Ezzey as a full suite digital marketing agency incorporating paid search and retargeting as well as social media expertise. Is your company ready for a social media makeover? The Ezzey video production team is a state of the art marketing team, creating personalized, world-class video productions, serving a worldwide clientele. Are you ready to invest in the best decision you will ever make for the future success of your business? With Michael Hamburger and the team with Ezzey in your corner get ready for mind-blowing conversion rates as you achieve and even exceed the business goals you have set. We know that you care about bringing the best in quality and service to the clients you serve and we want to help you put your best foot forward. One of our passions is to help the small, local business owner discover the power of having a real presence on the web with a sound social media marketing plan. Video advertising is a powerful tool that, when done professionally, invites a new level of visibility and accessibility to clients that you can reach in no other way.